Amelia Higgins, Watertown, Tenn., exhibited the Grand Champion Bred & Owned Chiangus Female, HIGG Xcstasy 03X, at the 2011 American Junior Chianina Association National Junior Heifer Show June 30, in Kansas City, Mo. Among those pictured are Kelsey Rutt, ACA National Queen, Andy Higgins, Allison Higgins & Amelia Higgins. 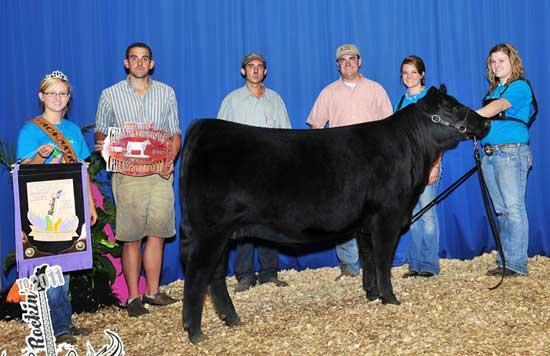 Platte City, MO – Amelia Higgins, Watertown, Tenn., exhibited the Reserve Grand Champion Bred & Owned Chiangus Female, HIGG Satin and Lace 073X, at the 2011 American Junior Chianina Association (AJCA) National Junior Heifer Show (NJHS) June 30, in Kansas City, Mo. 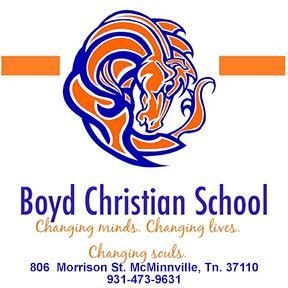 Participating in the intermediate division, Higgins placed 7th in the stockman’s contest and was a member of the 2nd place intermediate quiz bowl team. “Rockin’ to 2011” the 2011 NJHS, kicked off June 26 and concluded July 1, 2011. The show was held in conjunction with the Maine-Anjou and Charolais associations at the American Royal Facility in the heart of Kansas City, Mo., and had a great turnout of 181 Chianina juniors and 221 head of Chi and Chi-influenced cattle from 22 states. Dave Allen of Schulenburg, Texas, was the judge.